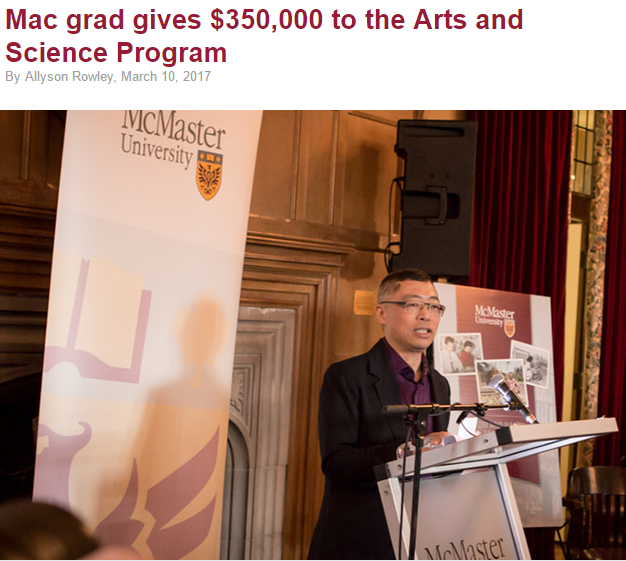 I am pleased to announce a Gift of $350,000 to the Arts and Science Program of McMaster University in Hamilton Ontario. The Gift, named the Tom and Nancy Miyashita Arts & Science Program Enrichment Fund, will provide resources for initiatives such as a forum that will inspire Arts and Science students to learn more about the business world, while also introducing business leaders to the talent in the program. Funds will be immediately available, beginning in the 2017/18 academic year. More details over the next few weeks on the design of the initiative. Great initiative, Bruce! I am keen to learn more.